These are in good condition with some minor wear to the leather ears from being stored. The stand, cats and mice are made of teak. 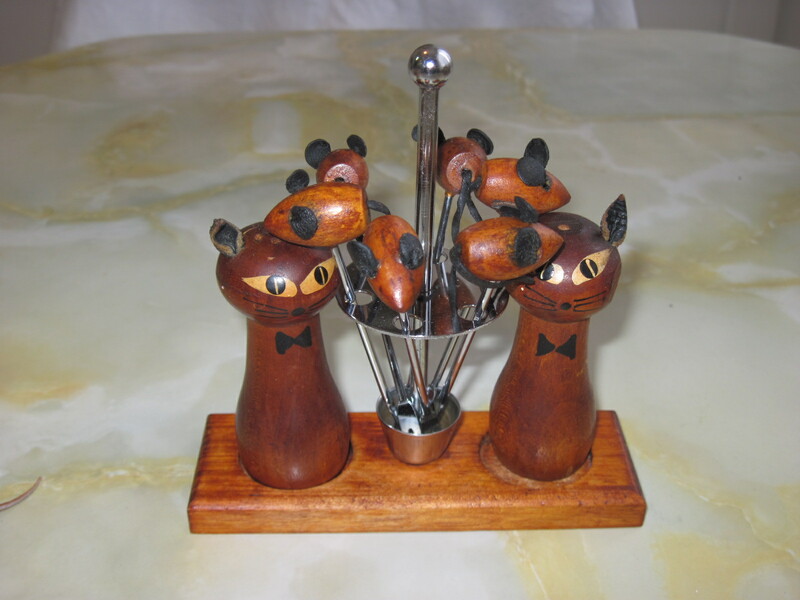 Cats and mice were very popular themes for mid century entertaining. I will be bringing these and an assortment of small teak kitchen items to the Ottawa Antique and Vintage Market, being held at the Carleton Univeristy Fieldhouse on March 21 and 22nd, 2015.